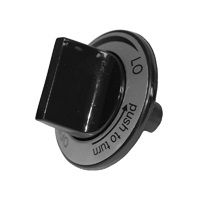 Description universal control knob with extra long 1” shaft. Counter-clockwise bezel. Selectable off position (12, 3, 6 & 9 o’clock).